For the past few years, Disney has been reinventing its style along two lines: the conscientious princess play of ‘Tangled’ and ‘Frozen’ alongside the more modern sensibility of movies like ‘Wreck-It Ralph’ and now this one. 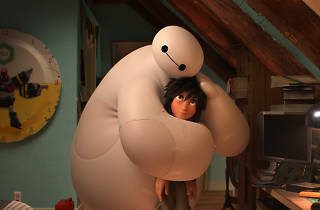 ‘Big Hero 6’ has been adapted from an obscure Marvel comic, telling the story of Hiro (Ryan Potter), a teen robotics genius who learns to use his brainpower for good by assembling a science-driven superhero team, including a pudgy, huggable nurse robot called Baymax (Scott Adsit), programmed only for gentle helping and healing. 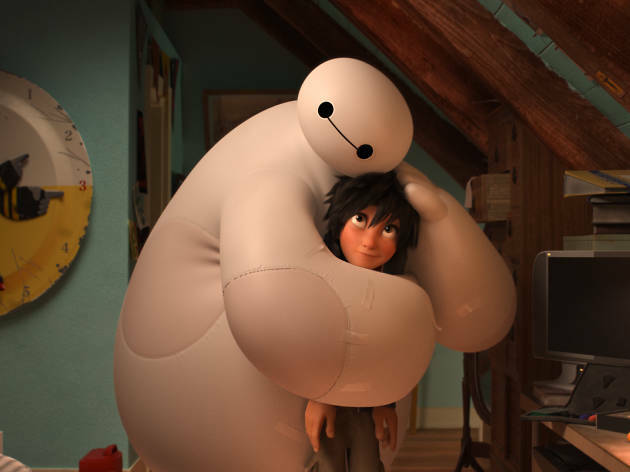 ‘Big Hero 6’ should delight kids, but for adults it feels a little less unique than ‘Ralph’ or ‘Frozen’. Still, the animation is fluid and inventive, balancing action and slapstick well, and it’s an enjoyable diversion from a studio that usually offers more. Big Hero 6 is once again one of those animated movies that kids and adults alike will love. Kids will enjoy the colourful imagery, the fact that there are robots in it and all the superhero action, whilst adults will love the characterisation, appreciate the stunning visuals and laugh out loud at Baymax, the droid that's created to heal human beings and is turned into a super fighting machine. The most memorable scene is when he runs out of battery, starts to deflate and is snuck back into the house. The 'being drunk' imagery is hilarious! Funny and touching, it's an excellent feel good movie. Colourful, vibrant animated action adventure. Disney meets Marvel. Solid family fare. Sorry TO film team but you've been a bit tight with your rating. I've just taken the family to see it and we give it at least a 4 star review. Full of fun, a great story and awesome animation.